Bethany Sparks is currently producing Virtual and Augmented reality experiences with an emphasis on 360 and HRTF sound transfer techniques to enable a completely immersive experience. She is working with colleagues to help develop a cinematic language for the realm of VR cinema. 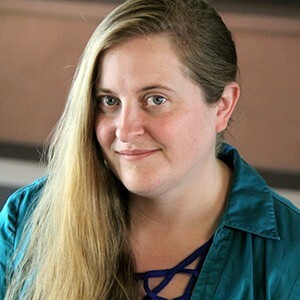 A seasoned sound designer for independent short films and interactive projects and an adjunct faculty member in the USC Animation Department, she received her MFA in Production from the USC School of Cinematic Arts in 2008. Bethany is particularly drawn to abstract and experimental films as well as projects related to science and the environment. When not teaching or Supervising Sound in the John C. Hench Department of Animation and Digital Arts, she is either working with independent filmmakers or travelling to collect new and interesting sound effects from nature. She has also served as a National Park Ranger around the country interpreting the natural environment for families. Bethany is currently seeking sound design projects that involve interactive technology or themes related to science, nature and visual experimentation.